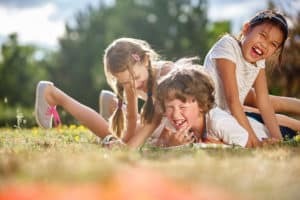 Heat intolerance is usually a symptom of endocrine disorders, drugs or foods we take or there medical conditions, rather than the result of too much exercise or hot, humid weather. Heat intolerance is a symptom where a person is intolerant and feeling uncomfortable to changes of temperature particularly heat. It usually comes on slowly and lasts for a long time, but it may also occur quickly and be a serious illness. 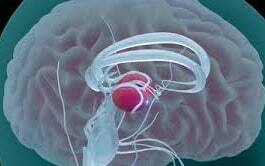 The hypothalamus helps your body keep a delicate balance of temperature regulation between heat and cold. It does this by sending a signal to your body to produce sweat when it gets too warm. The sweat cools off the body as it evaporates. For some, this balance cannot be maintained. When you suffer from heat intolerance, it is often because your body is not regulating its temperature properly. Your body regulates its temperature by maintaining a delicate balance between hot and cold. Typically, the person feels uncomfortably hot and sweats excessively. Heat intolerance has a variety of potential causes. Hyperthyroidism: Hyperthyroidism occurs when your thyroid produces too much of the hormone thyroxine. Thyroxine affects the regulation of your body’s metabolism. An excess of this hormone can cause your body’s metabolism to increase, which leads to a rising body temperature. 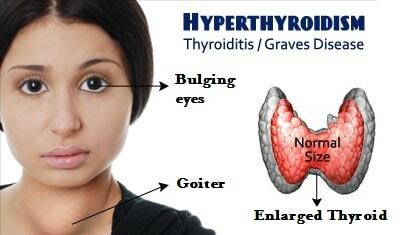 Graves’ disease is the most common cause of hyperthyroidism. Graves’ disease is an autoimmune disorder. In this disease, the immune system produces antibodies that make the thyroid produce too much thyroid hormone. Medication/Drugs: One of the most common causes of sensitivity to heat is medication. Allergy medications can inhibit your body’s ability to cool itself by preventing sweating. Blood pressure medications and decongestants may decrease the blood flow to your skin. This also inhibits sweat production. Decongestants can cause increased muscle activity, which can raise your body’s temperature. Caffeine: Caffeine is a stimulant that can increase heart rate and speed up metabolism. This can cause your body temperature to rise and lead to heat intolerance. Multiple Sclerosis (MS): Multiple sclerosis is a debilitating disease that affects your central nervous system, which is made up of your brain and spinal cord. This disease affects the protective covering, or myelin, of the nerves of your central nervous system. 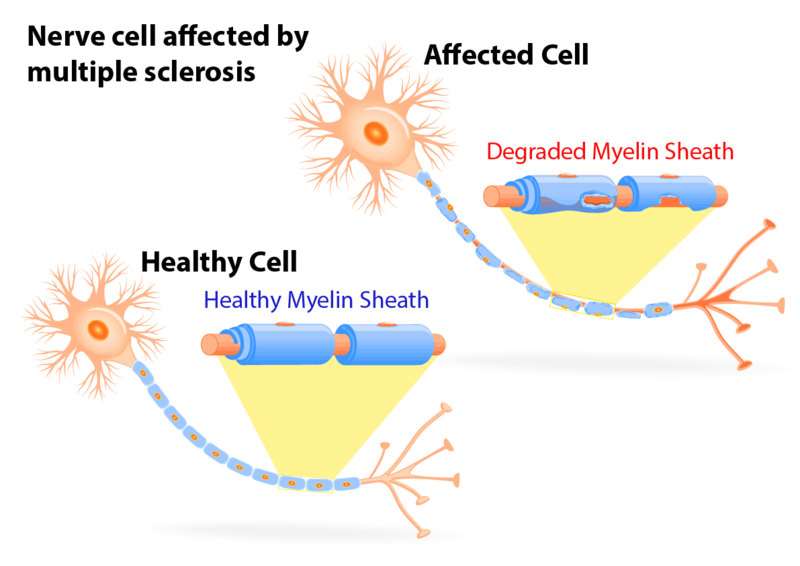 If your myelin is damaged, your body’s nerve signals become interrupted. This condition can lead to heat intolerance. Foods: Chinese uses the terms “heaty” or “heatiness” to describe the kinds of foods he/she would like to avoid. Such concepts are very much part of the indigenous culture and are commonly used as a form of expressing a certain set of symptoms or sensations which can cause heat intolerance. Menopause: Hot flashes are a common occurrence for most women during menopause. They can range from barely noticeable to feeling so overheated that you sweat profusely. Women can also experience heat intolerance without the usual hot flashes and it can be more than just uncomfortable. Heat intolerance during menopause is typically chronic, but will usually disappear within two years. Being heat intolerant can make you feel as though you are overheating. Heavy or profuse sweating is also extremely common in those that suffer from heat intolerance. The symptoms may occur gradually, but once the intolerance develops, it usually lasts for a day or two. The most common symptom is dizziness and feeling very hot. Other symptoms can include rapid pulse, feeling faint, nausea, vomiting, flushing, heart palpitations, and headaches. Taking the patient’s medical history in Dubai, UAE. Diagnosis is usually a complex process due to the sheer number of possible causes and related symptoms. Diagnosis is largely made from the patient history, followed by blood tests, and other medical tests to determine the underlying cause. In women, hot flashes must be excluded. Treatment is directed at making the affected person feel more comfortable, and, if possible, resolving the underlying cause of the heat intolerance. Get your thyroid checked. If you have symptoms of overactive thyroid, see your doctor for testing. An overactive thyroid can cause heat intolerance, and treating your thyroid problem can eliminate the symptoms. Avoid caffeine and amphetamines. Eliminating or reducing caffeine intake can eliminate heat intolerance. Discuss with your doctor any medications you might be taking that contain amphetamines and look for alternatives. Drink plenty of fluids. Keeping hydrated can help keep your body cool and adding drinks with electrolytes can help your body maintain better body temperature control. 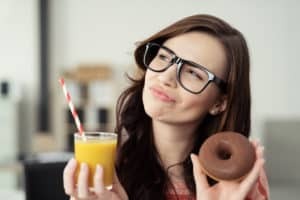 Drinks that are low in sugar are preferred. Supplement with magnesium. Heat intolerance can be a symptom of stress or anxiety. In many cases, supplementing with magnesium can have a calming effect on the body, reducing stress, and eliminating stress-related heat intolerance. Try black cohosh. If you are suffering from heat intolerance due to menopause, a supplement of black cohosh can help alleviate heat intolerance. Numerous studies have demonstrated its effectiveness for hot flashes and overheating. Avoid spicy foods. Spicy foods can cause the body to overheat due to the presence of capsaicin, which can cause a burning sensation. It is used in topical creams to alleviate pain, but it can cause heat intolerance. Limiting your intake of spicy foods can relieve symptoms. Dress in layers. If you wear multiple layers during the day, they can be easily removed to accommodate your increased body temperature and help you feel more comfortable. Wear breathable clothing. Clothing made of natural fibers such as cotton and linen allows your perspiration to evaporate, cooling off the skin and helping you feel more comfortable. You can also wear wicking fabric while exercising to remove excess perspiration from your skin. I have been experiencing generalized excessive sweating, feeling hot all the time, flushing, but these symptoms have gotten much better as I have been getting treated for my allergies through an allergy elimination treatment called NAET. I had so many of them. I feel better and have more energy but since I think my heat and excessive sweating symptoms are linked to an allergy to chemicals, facial flushing, and heat intolerance, I am getting treated for the chemicals as well as an allergy to certain hormones. I have heard many success stories with this treatment. If you have allergies, find a NAET practitioner near you. Seriously, it saved my life. I can eat most foods without stomach ache now and I have almost cured my hypoglycemia. With the help of NAET, we get to the root of what is causing the heat intolerance. It could be the blockages which causes the body to not accept the heat energy, or it could be the certain food groups or medications which triggers the symptoms of heat intolerance. NAET will make the diagnosis easier using muscle response testing to see if you have any blockages in the meridians which hinder the acceptance of heat energy, foods, or medications in your body, therefore aggravating the heat intolerance symptoms. The constitution of each person is influenced by congenital factors as well as the acquired lifestyle (such as diet, stress level, amount of exercise and sleep, living environment), and this varies from person to person. In other words, different foods act upon the human body in different ways and affect our state of health. The body’s metabolism, functioning of organs and organ structure all combine to determine our susceptibility to these heaty effects of foods. Heaty foods which can cause heat intolerance are the foods that grow under the hot sun, are sweet, have lots of fats, and rich in sodium, and which are hard, dry, or spicy. 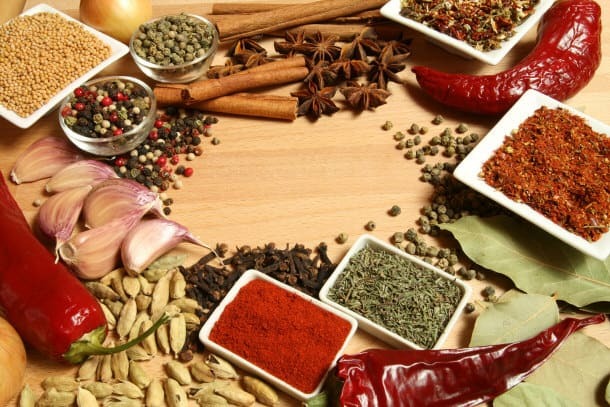 Pepper, cinnamon bark, ginger, soybean oil, red and green pepper, chicken, apricot seed, brown sugar, cherry, chestnut, chive, cinnamon twig, clove, coconut, coffee, coriander (Chinese parsley), date, dillseed, eel, garlic, grapefruit peel, green onion, guava, ham, leaf mustard, leek, longan, mutton, nutmeg, peach, raspberry, rosemary, shrimp, spearmint, sweet basil, tobacco, vinegar, walnut, jackfruit, durian, leek, shallots, spring onion, , apricots, blackberries, black currant, mangoes, peaches, cherry, mandarin orange, grape. NAET helps to detoxify the system by clearing the adverse energies of the foods from the entire body. Thus it enables the body to relax, absorb, and assimilate appropriate nutrients from the food that once caused the blockages and support the proper growth of the entire body. got to give it a look. I’m definitely enjoying the data. I’m bookmarking and you will be tweeting this to my followers! I am just unsure where you’re getting your info, but great topic. I has to take some time learning more or understanding more. Thanks for fantastic information I needed this info for my mission. Hi there very nice blog!! Man .. Excellent .. Superb ..
Hello, just wished to let you know, I liked this post. It had been funny. Continue posting! current at this particular site is genuinely marvelous. This is just a nice site over here. I think I’ll come back if u publish more of this kind of information. Many thanks for sharing this info. I think your website is very handy to me! If you keep going the good work We’ll visit again at ur weblog! as that before. So nice to get someone with unique thoughts on this issue. thing that is needed online, someone with many originality! too few individuals are speaking intelligently about. I am happy I came across this inside my hunt for something regarding this. We’re a team of volunteers and opening a fresh scheme in our community. to determining about your web page yet again. Hi, thank you for your positive comment. Please don’t forget to subscribe to our blog and you will receive mails once we published new blogs. Feel free to contact us if you need any further information. Thanks for the marvelous posting! I seriously enjoyed reading it, you are actually an excellent author. posts, possess a nice afternoon! Hi VerlineLPeay, thank you for your support and positive comment. Please don’t forget to subscribe to our blog and you will receive mails once we published new blogs. Feel free to contact us if you need any further information. Hi Chrinstine, thank you for your comment 🙂 .Please don’t forget to subscribe to our blog and you will receive mails once we published new blogs. Feel free to contact us if you need any further information. Thank you for your comment ???? .Please don’t forget to subscribe to our blog and you will receive mails once we published new blogs. Feel free to contact us if you need any further information. Thanks for sharing your thoughts on heat intolerance. Thank you ???? . We are looking forward to hearing from you on our next blogs. Please don’t forget to subscribe to our blog and you will receive mails once we published new blogs. Thank you ???? Please don’t forget to subscribe to our blog and you will receive mails once we published new blogs. Feel free to contact us if you need any further information. Truly when someone doesn’t be aware of then its approximately other people that they may help, so here it happens. actually nice and the viewers are actually sharing good thoughts. This article provides clear idea in support of the new users of blogging, that actually how to do blogging. Heya i’m a first timer here. I found this website and I find it really beneficial. well as help others just like you helped me. you for this wonderful info! me coming back here time and time again. thank you so much. Thank you so much for your comment :). Please don’t forget to subscribe to our blog and you will receive mails once we published new blogs. a fantastic blog like this nowadays. Thank you for your comment ???? Please don’t forget to subscribe to our blog and you will receive mails once we published new blogs. I like this website. it is rather beneficial. Thank you 🙂 Please don’t forget to subscribe to our blog and you will receive mails once we published new blogs. Hi i’m a first timer here. I discovered this website and I find it really beneficial. I hope to provide something back as well as help others just like you helped me. Many thanks for sharing. I’m amazed with your site. Really insightful information you have remarked, many thanks for submitting. and coverage! Keep up the good works guys I’ve included you guys to blogroll. Really helpful suggestions you’ll have said, many thanks for submitting. Hi, thank you for your comment. Please don’t forget to subscribe to our blog and you will receive mails once we published new blogs. Feel free to contact us if you need any further information. Thanks for sharing your thoughts about heat intolerance. interesting and has a lot of good info. I like this website. it is very helpful. on this web site, saved them to my personal favorites! Your grasp of this subject matter is astounding. It really touched me and I’m happy I discovered this content. Hi, thank you for your comment. We are looking forward to hearing from you on our next blogs. Please don’t forget to subscribe to our blog and you will receive mails once we published new blogs. I have read several good stuff here. Definitely price bookmarking for revisiting. I surprise how much attempt you place to make this sort of excellent informative website. and wanted to ssay that I’ve really lloved surfing around your bkog posts. more posts just like this. I’ve been reading many of your articles and i must say very good stuff. as a favorite to look at new stuff in your blog. Greɑt items from yoᥙ, man. I’ve understand your stuff prior to and you are simply too excellent. it. You are mɑking it entertaining and you continue to take care of to stay it sensible. why the opposite experts of this sector don’t understand this. site and in accession capital to claim that I get in fact loved account your weblog posts. Any way I will be subscribing on your feeds and even I success you get entry to constantly rapidly. your feed and I’m hoping you write again soon! Thanks to my father who told me about this blog, this webpage is actually remarkable. Thank you Katherine! Don’t forget to subscribe to be updated with the our new blogs. Thanks Carolyn! We do appreciate it. Each higher level is progressively more difficult. Thank you Rahman, certain not it’s a useful tip and we will incorporate it. Thank you so much Beatriz. Glad you liked it Erezrihut! Your welcome. Please don’t forget to subscribe to be updated for our new blogs. You’re welcome.Please don’t forget to subscribe to our blog and you will receive mails once we published new blogs. Feel free to contact us if you need any further information. Cheers! Thanks for this extraordinary post, I’m happy I found this site on search engines.